Thrustmaster have today unveiled a range of officially-licensed Cars 2 accessories for both Wii and Nintendo DS, with the latter also compatible with Nintendo 3DS. First up is the Cars 2 DS Projector Stylus that features the likeness of Lightning McQueen. The Stylus is capable of projecting an image of Lightning McQueen and Francesco Bernoulli onto the wall, through the simple use of an on/off button! Also set to release is the Cars 2 DS Pack, which includes the aforementioned Cars 2 DS Projector Stylus alongside a protective case for the handheld – opened with a secret code – an anti-static cleaning cloth and a set of stickers. The Cars 2 DS Pack and the Cars 2 DS Projector Stylus are due to be available from June priced at £16.99 and £5.99 respectively. 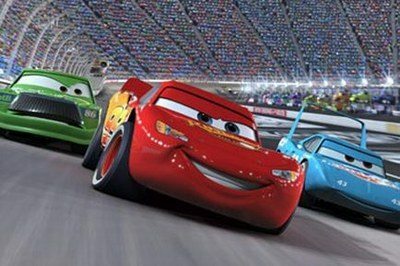 Wii owners will be able to enjoy use of a Cars Wii Wheel, featuring Lightning McQueen, that incorporates a textured grip, set of additional stickers and wide 21cm diameter. Additionally, Thrustmaster will release a Cars 2 Wii 3D Skins Pack + that includes Wii Remote 3D lenticular customisation skins and matching wrist straps. In terms of pricing, the Cars Wii Wheel is available for £11.99 whereas the Cars 2 Wii 3D Skins Pack + will be available from June priced at £4.99.